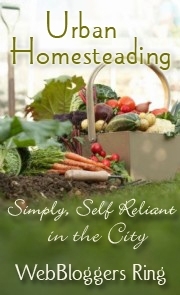 Fast, Cheap, and Good is a philosophy of homemaking. I believe that we can care for ourselves and our families by adopting simple lifestyle habits and techniques that will improve our health, our connection to and stewardship of our world, and our finances, all without depending on a larger organization to help us through. Have I mentioned lately how much I love June in the garden? Yes, I know its July already. I'm finally doing the June tallies, and that just reminds me how full of hope June always is. Just look at those lovely Principe Borghese tomatoes in the photo, days from starting to ripen. Just lovely. The blueberry harvest was almost finished by the end of the month, with ounces of blueberries total. Even with some critter damage, that's over half a gallon just from my three little bushes (plus a small one that isn't producing yet). Grand total of blueberry value through the end of June was $25.46. I discovered/developed a radish relish recipe I've already shared with you, allowing me to harvest and use more of my crop than ever before. Through the end of June, I had harvested over 20 ounces of radishes, for a retail value of $3.90. The first tomatoes came in! Even though they were only a couple of ounces of Principe Borghese and a single Siletz, both intended as early tomatoes, this is the first time I can remember harvesting tomatoes in June. Let's hear it for starting tomato seeds on Groundhog Day! July is shaping up to be a whopper. Fingers crossed; I may even get the garden to profitability, although that's always a dicey hope for July. Stay tuned! Get Fast, Cheap, and Good delivered to your Kindle! Just $0.99 a month with a 14-day money-back guarantee through Amazon. Jennifer Patterson Lorenzetti had her first garden – and her first compost pile – at the age of eight. 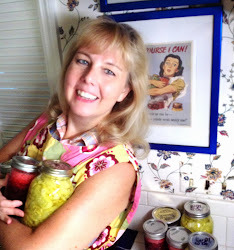 Armed with vintage canning recipes from her grandmother and great-aunt, she began her journey toward sustainable homemaking, adding skills in textile arts, food preparation, and savvy shopping and budgeting. In 1997, she founded Hilltop Communications, a writing and speaking firm dedicated to making complex topics accessible for a variety of audiences and through a variety publications and venues. She has written hundreds of articles for a variety of clients, and her work has received a TABBIE Honorable Mention for Best Technical Article. In 2009, she married the two passions and started “Fast, Cheap, and Good,” the blog that draws on her experiences as a writer and homemaker dedicated to pursuing a better life with fewer resources. She is available for writing, speaking, and consulting. Is Gardening a Subversive Act? Saturday Night and Too Tired to Cook? All content copyright Jennifer Patterson Lorenzetti.. Powered by Blogger.